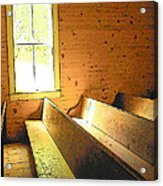 There are no comments for Church Pews - Light Through Window. Click here to post the first comment. 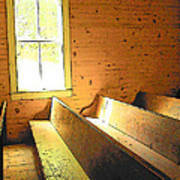 Light coming through the windows of an old mountain church show wear from many Sunday services on the wooden pews. 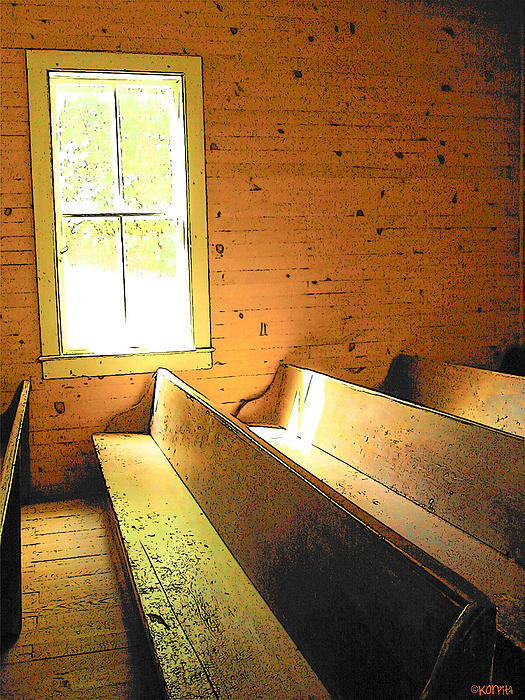 This is an digitally enhanced original photograph by Rebecca Stringer Korpita.